Yoga is hands down one of the greatest positive habits one could take on. In recent years, the 5,000-year-old physical activity that started in Northern India has been gaining noticeable popularity in Egypt. Nowadays, you find yogis almost everywhere and this may secretly tickle your fancy. If that’s the case for you and you want to embark on a chakra opening journey but you don’t know where to start, then this guide is for you. First things first, when you’re new to something, you need to do your homework. In other words, start by doing some research about yoga so you at least have a basic understanding of it. For starters, you need to know the benefits and types of yoga so you’d know what works for you. Yoga is a form of exercise that doesn’t just leave you with a stronger more flexible body, but also a clear mind and healthier mental wellbeing. There’s an overwhelming amount of yoga styles or types that you need to look into. Of course, you should start with a beginners class, however, you still need to understand the different flows. Types of yoga include Hatha, Vinyasa, Ashtanga, Kundalini, and many more. Once you do your extensive research, if you still fancy the idea, then you can easily move onto step number two. If you’re looking for a community to belong to, Yalla Yoga has just that to offer as well as a variety of classes ranging between Vinyasa, Hatha, Ashtanga, and more. Check out their schedule here. Other than power yoga, Vinyasa, and other types of yoga, Flow dedicates its efforts to focus on a variety of mother and child classes. Check out their classes here. This fitness center offers a variety of classes to tone your body and soul, and aerial yoga should be on your list. Here’s February’s schedule. This place does not just offer the perfect spiritual atmosphere, but it also stands for a good cause. The Breathing Room is actually a non-profit yoga studio. So where do all the proceeds go? They go to Banati Foundation, an organization aimed at improving the lives of girls, young mothers, and their children. Their schedule includes Hatha, Vinyasa, as well as yang/yin classes; check it out here. If harmony and balance are your goals, this family will definitely put you on the right track. They even offer pregnancy and post-natal yoga and pilates classes for the mommies and mommies to be. You can also attend childbirth preparation workshops. Check out their schedule here. Tailored to suit every individual’s needs, the first Ashtanga yoga shala in the whole region is relocating from Zamalek to Maadi. For booking an appointment, call 0122 275 8625. From Acting workshops and open mics to doggy day out, this green space in the heart of Maadi has so much to offer including yoga classes. Keep an eye on their events here. From meditation workshops to Chakra healing sessions, this studio is the place for endless spiritual events. Stay updated for any upcoming events by checking their Facebook page. For a cozier and less commercial yoga space, On The Mat is definitely the ultimate choice. Check out this month’s schedule here. When it comes to shopping, your training attire is the first thing you should start with. Check out our ultimate guide for local sportswear shopping, “Train In Style With These 7 Egyptian Sportswear Brands“. Moving on to more technical props like mats, blocks, training bags, and more, there are several shops where you can lay your hands on the finest of these products. Bindu by Ohoud has a premium variety that any hard-core yogi would fancy. Yoga studios can sometimes dedicate a corner for a yoga shop; Osana Family Wellness has its own online store. For more affordable, yet quality, props, then it’s Decathlon all the way! There’s a spacious branch at Cairo Festival City Mall that you must stop by. If you reached this step, then it’s time for you to up your yoga game by embarking on a new spiritual adventure. 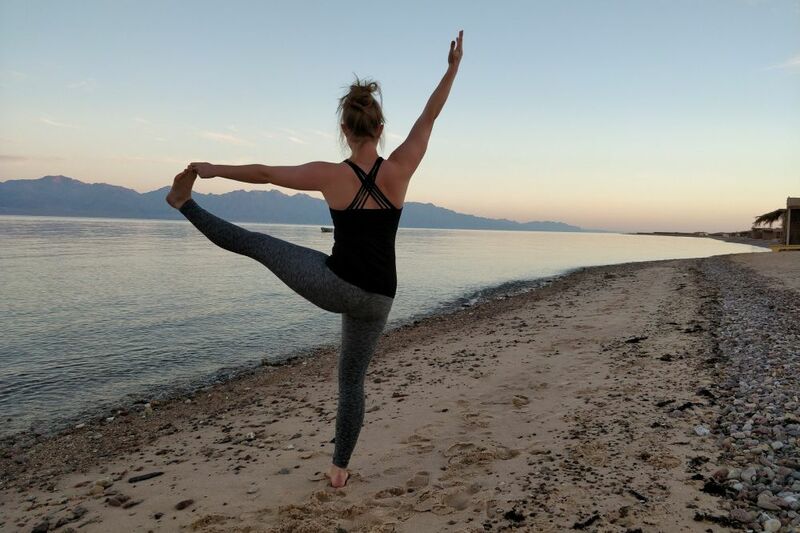 Check out “Yogis of Egypt, Here’s Your Ultimate Retreat Guide!” for the upcoming retreats around Egypt. If you feel the change and find yourself taking this too seriously, then what about adopting this as a permanent lifestyle? Take it to the next level and turn a corner at home into a yoga/medication spot. Take some time off for yourself every morning if you really feel it’s making a difference. Pimp your spot with a mandala tapestry, some plants, a few candles, and of course, your yoga mat.